There’s nothing worse than something that doesn’t fit, from clothes to shoes, something that doesn’t fit is simply a pain. It’s no different for kitchens and bedroom furniture, a bad fit stands out a mile, it ruins the look you are trying to achieve and often causes furniture to fail quicker. At Arley Cabintes of Wigan we achieve the perfect fit every time. 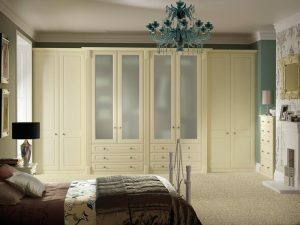 All our furniture from fitted wardrobes to fitted kitchens is exactly – that fitted. We make all our cabinets, from kitchen units to bedroom units in-house to the exact measurements of your room. No messing about you get bespoke cabinets at superb prices every time with Arley Cabinets. Our team of craftsmen take care of your perfect fit kitchen or bedroom from start to finish, from measuring up, designing and construction, all you need to do is tell us exactly what you would like. No two houses are exactly the same, so it follows that no two kitchens or bedrooms are exactly the same either, that’s why our years of experience in constructing made to measure fitted bedrooms and kitchens pay dividends every time. Customers from Wigan, Bolton, Preston, Liverpool and Manchester trust Arley Cabinets of Wigan to produce the perfect fit kitchen, bedroom, wardrobes or home office first time every time. 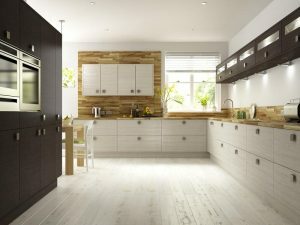 Why sacrifice you style when you can choose a fitted kitchen or fitted bedroom and get the perfect fit just for you. Contact Arley Cabinets today for your perfect fit kitchen or bedroom now, we provide a no obligation quote, have friendly and professional team of craftsmen ready and waiting.